Have you the latest? On February 7th, M&M’S® spokes candies, Red and Yellow,quit their jobs with the M&M’S® gang! I was shocked to find out as I’m sure many Canadians were. What will we do without our faves? There is a silver lining though with this surprising news. Now, there’s an opportunity open for two new spokes candies to fill their jobs. Do you think you have what it takes to be part of the team? Until February 21st, visit M&M’S® on Facebook and fill out the online job application form. The winners will have their own one-of-a-kind M&M’S® spokes candy designed and created and will take over our Facebook page as a part of the team. 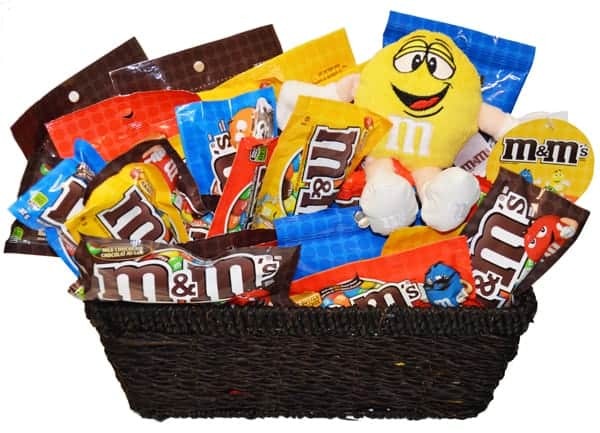 Plus, you will also win a delicious M&M’S® chocolate candy prize pack. The contest is open to Canada and ends 2/21. The folks at M&M’S® made me my very own Simply Stacie spokes candy! So this is what I would look like if I were a spokes candy. Pretty neat right? Hurry go on over to M&M’S® Facebook page to enter! Disclosure: I was not financially compensated for this post. I will receive a sample of the product as compensation. The opinions are my own, based on my personal experience with the product. I’d like to be purple. I would like to be Purple. I would be a Neon Green M&M. I forgot to say thanks for letting me know about the contest. I didn’t remember to enter yours, but I did enter the M&Ms one on FB.